Why did Itumeleng Khune miss the PSL Awards? Kaizer Chiefs goalkeeper Itumeleng Khune was not at the Premier Soccer League awards in Sandton on Tuesday night to collect his award as Absa Premiership Goalkeeper of the Season. 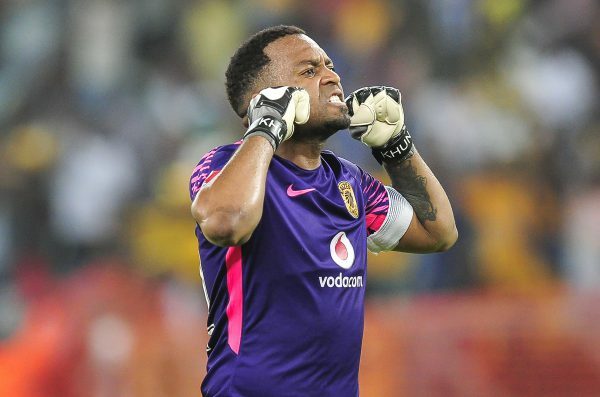 Khune had to be admitted to hospital with a stomach problem that caused him to miss Amakhosi’s final league game of the season at Ajax Cape Town on May 12. Chiefs team manager Bobby Motaung told Phakaaathi at the awards that Khune is now out of hospital and on the road to recovery, but is still recuperating at home and this is why he did not attend Tuesday evening’s gala. Khune’s father, Elias Khune, picked up the award in his absence at the Sandton Convention Centre.